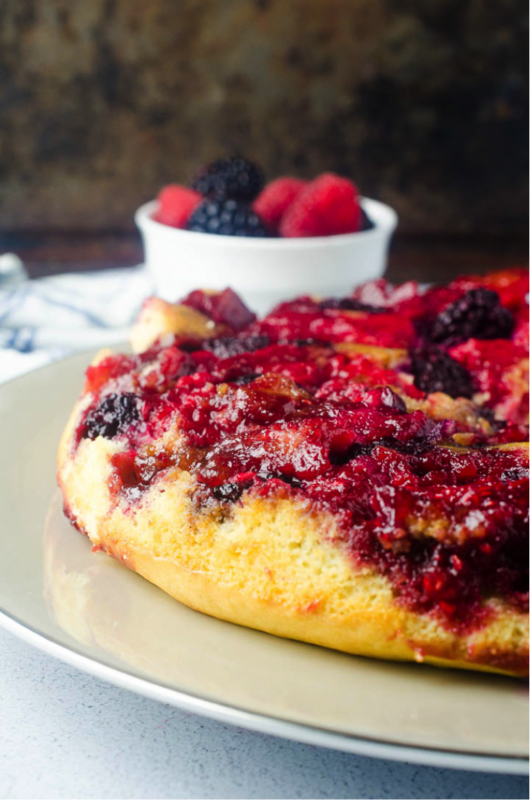 Berry Upside Down Cake is vibrant and fresh, a lighter twist on a classic upside down cake it’s made with berries and a delicious cinnamon crumb. This cake may look complicated to make but it’s so easy even my kids can make it! Simple & delicious your whole family will enjoy it! When you have teenage boys in the house, you know you have to keep the fridge stocked with all their favorites at all times of the day. Often, this seems like a perpetual daily cycle where your path to the local grocer becomes pretty much automatic. But knowing what they like is only half the battle. Trying to get them to eat healthier options sometimes presents its own dilemma. That’s why, as sneaky-good moms, we’ve always got to be on the hunt for alternatives that are healthier, but still tasty. And there are easy ways to take some of their favorite recipes and improve them. Sometimes, all it takes is a small change. This is how I felt when I discovered Brummel & Brown. 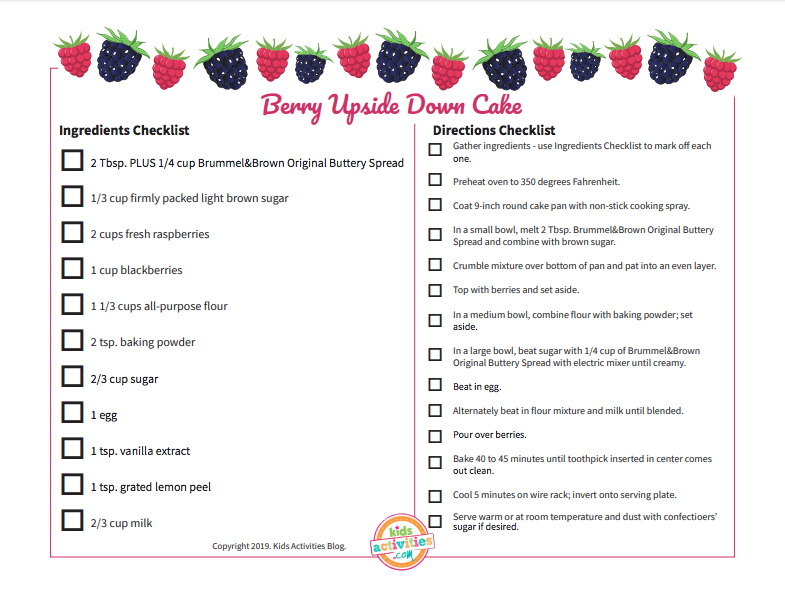 Recently, my family enjoyed a great tasting Berry Upside Down Cake. So, when my boys asked for it again, my mom wheels started turning. 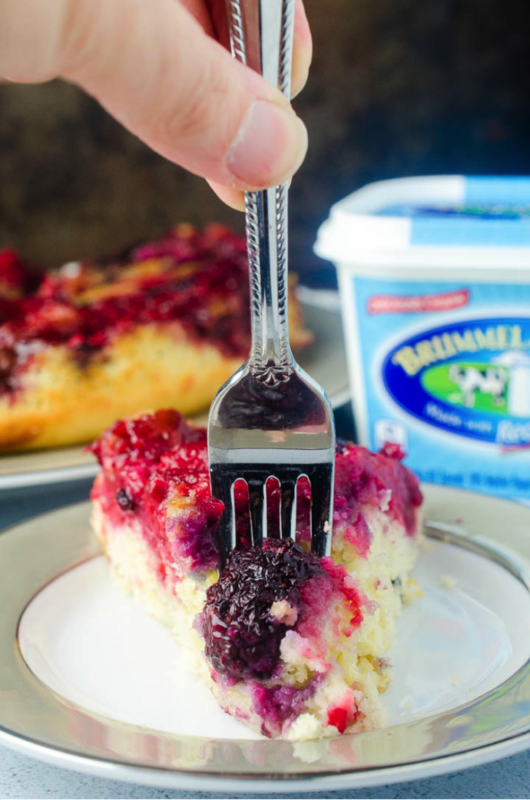 I had recently tried Brummel & Brown Original Buttery Spread and remembered how good and creamy it was – you know that smoothness you can really only get from real yogurt. 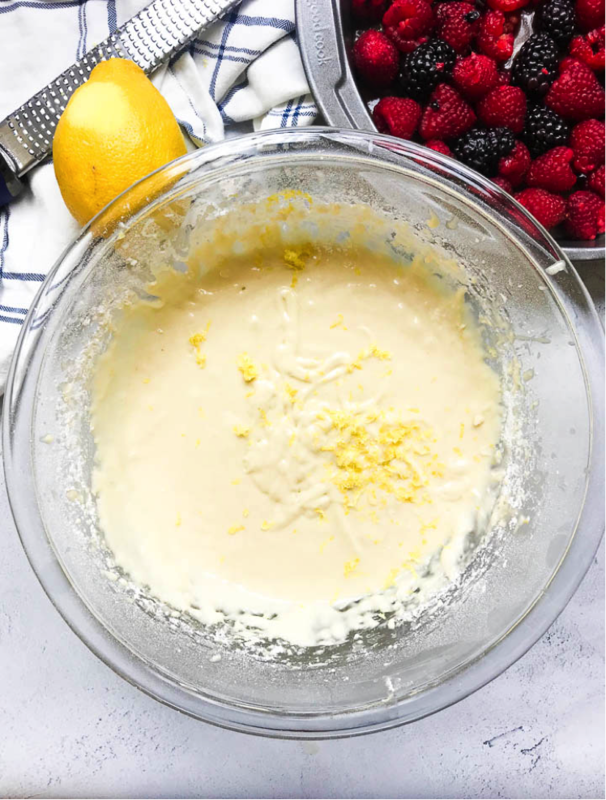 Knowing it’s made from real yogurt and plant-based oils, and having ½ the fat and calories of butter, I didn’t feel bad making the Cake for a second time in one week. I simply replaced an ingredient with one with the wholesome goodness of real yogurt. 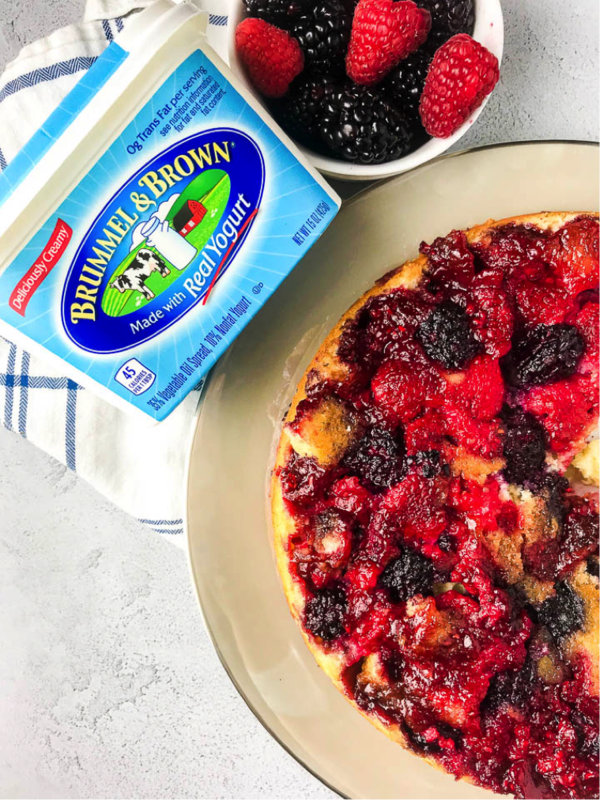 I actually preferred the Berry Upside Down Cake recipe with Brummel & Brown Original Buttery Spread because I knew it was a healthier option yet still tasted delicious. What made it even better is that I got one of my sons to help. One of the best ways I’ve found to get your kiddos into the kitchen to spend quality time with you is to include a printable. For this recipe, I created a recipe checklist printable, essentially an easy checklist you or your family members can follow while cooking. We took turns with my son checking of some of the list while I mixed the ingredients and vice versa. It was fun, and I think he enjoyed eating it a little more having had a hand in making it. He also got to brag a little to his brothers. What’s an upside down cake? An upside cake is really just a cake that’s baked over some kind of fruit, usually in syrup, and flipped over when served, so the fruit is at the top. Pineapple upside down cake is one of the more popular kinds, but people get creative. Check out my Pineapple Upside Down Smores Cookies recipe. It’s a morph between a traditional pineapple upside down cake and a s’more. Where can I find Brummel & Brown spreads? I love shopping at my local Publix, and that’s where I found this spread in the butter/spread section. It was easy to spot the blue packaging. In fact, right now, you can save $.50 of any (1) Brummel and Brown product until February 4th. I stocked up on a couple tubs the last time I was there because my boys go through bagels like hot cakes. You can even find a digital coupon HERE. What’s in a Berry Upside Down Cake? How do you make upside down cake? Making an upside cake is easier than it sounds. It only takes 15 minutes to prep, 45 minutes to cook and seconds to inhale. First, preheat your oven to 350°. 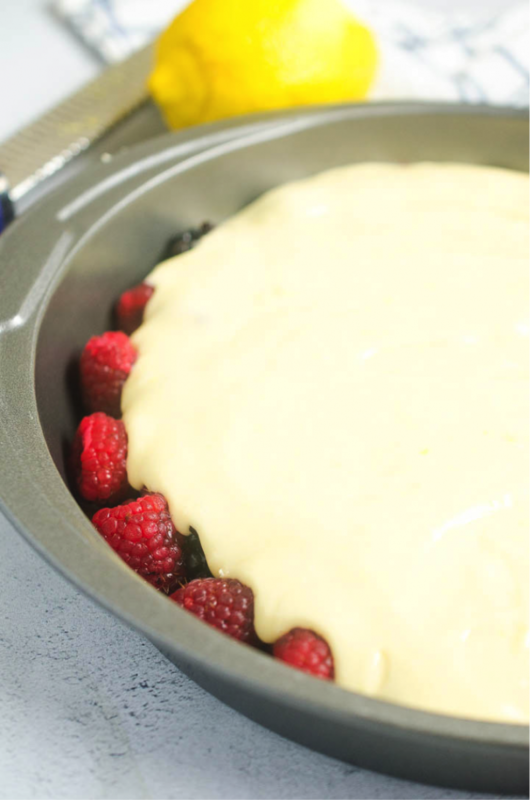 Coat a 9-inch round cake pan with non-stick cooking spray. Next, melt 2 Tbsp. Brummel & Brown Original Buttery Spread and combine it with brown sugar in small bowl. Crumble mixture over bottom of prepared pan and pat into an even layer. Evenly top that with berries and set aside. Now combine the flour with baking powder in a medium bowl and set aside. Beat the sugar with remaining spread in large bowl with electric mixer until it’s creamy. Beat in the egg. Alternately beat in flour mixture and milk until it’s blended and pour over berries. Bake it for 40 to 45 minutes until a toothpick inserted into the center comes out clean. Let it cool for 5 minutes on a wire rack. After it’s cool, invert it onto a serving plate. Serve warm or at room temperature and dust with confectionery sugar if desired. Cooking for teens can be difficult sometimes, but with delicious ingredients and a little collaborative sweat in the kitchen, it can be a joy. 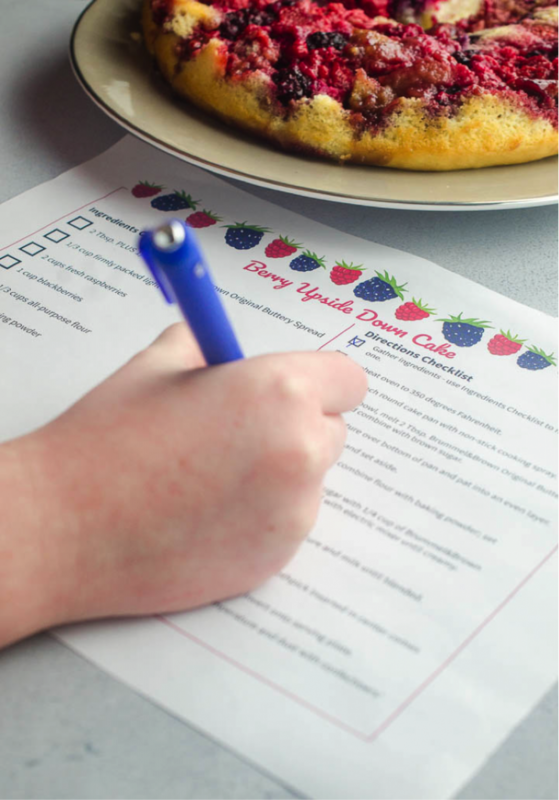 Make sure to print the Berry Upside Down Cake recipe checklist printable and recruit your kids to help create this delicious dessert. I hope you all enjoy it as much as I did. 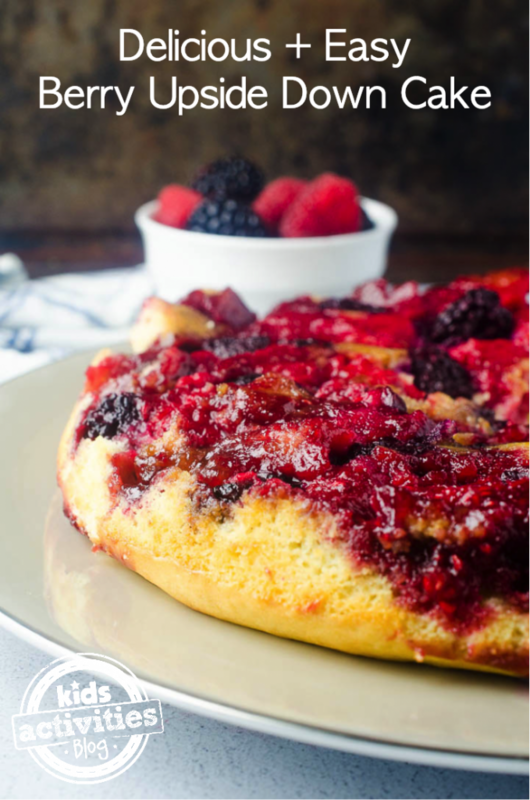 Berry Upside Down Cake is vibrant and fresh, a lighter twist on a classic upside down cake it’s made with berries and a delicious crumb. Next, melt 2 Tbsp. Brummel & Brown Original Buttery Spread and combine it with brown sugar in small bowl. Crumble mixture over bottom of prepared pan and pat into an even layer. Evenly top that with berries and set aside. Now combine the flour with baking powder in a medium bowl and set aside. 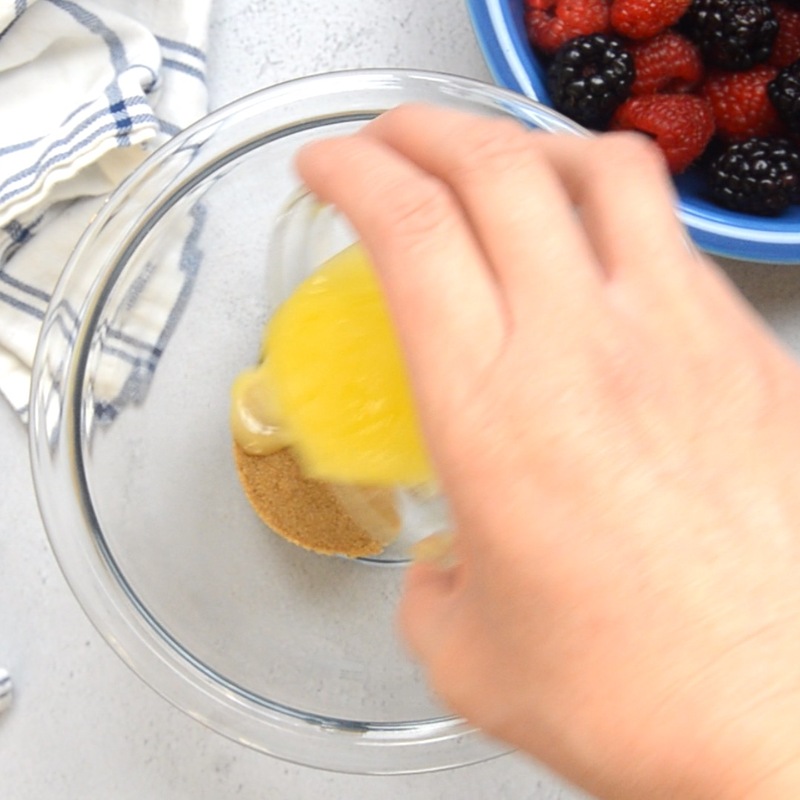 Beat the sugar with remaining spread in large bowl with electric mixer until it’s creamy. Beat in the egg. Alternately beat in flour mixture and milk until it’s blended and pour over berries. I’m all about berries in cakes! This one looks so good and I bet it’s going to be perfect with a warm cup of tea in this weather! Such a delicious dessert! Can’t wait to share at next gathering! This looks amazing! Do you think frozen mixed berries might work? Also I have fed sourdough that I was thinking of using for the cake batter part. Can’t wait! I do think frozen berries would work, but I would drain the liquid off of them because frozen berries hold their shape less and squish more…! ha. Thanks so much! It really is good! Thank you for sharing! Looks scrumptious! This cake was amazing! It was so moist and flavorful and everyone gobbled it up with the quickness! Oh! That sounds like a great idea to add! “Donn” asked about cinnamon ’cause YOUR website mentions it!! !